Imagine the sled as holding you back from the pursuit of a goal. 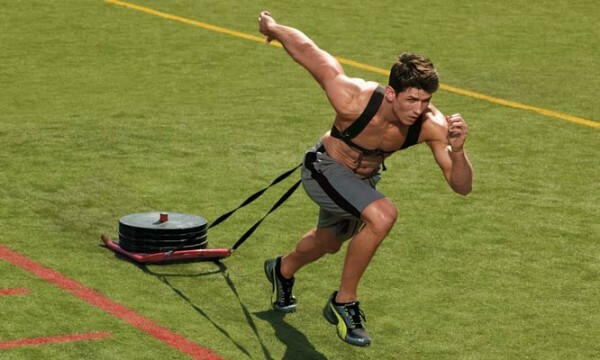 Cut the sled and your performance will increase, right or wrong? I do not feel the answer is the leadership model, there have been hundreds, if not thousands, of high-quality models published over the last 100 years alone that have been used hundreds of times with much success. On top of that, most coaches use one of these models at present, so how could a new and improved model be the answer? From my point of view, we must create connection amongst the team, as well as, eliminate the strings that hold athletes hostage from the attainment of their absolute best performance. Once free from suppression, we can give athletes the proper guidance on the subject of leadership, and only then, will athletes find their way to becoming a great leader. I realized pretty quickly that my points of emphasis are merely a starting point for a major discussion and in no way, did I feel I had all the conclusive answers. With that said, here are of the points of the presentation and a link to the prezi notes. 1. Athletes thinking in the moment with full and complete thoughts of the entire situation, not just “Get Mine First.” See Phil Jackson’s book Sacred Hoops and Michael Johnson’s Slaying the Dragon for more information. 3. Eliminate the toxins in and outside your body for the purpose of increasing IQ, mind-body connection, and increased energy. Find ways to eliminate synthetic materials from your environment and your food. For additional information, see all the sources on this site. Again, my goal was to create a starting point only, rather than a comprehensive list of solutions. If you have any feedback, I would welcome an email. Again, for the complete presentation, click here for the presentation notes. Enjoy.